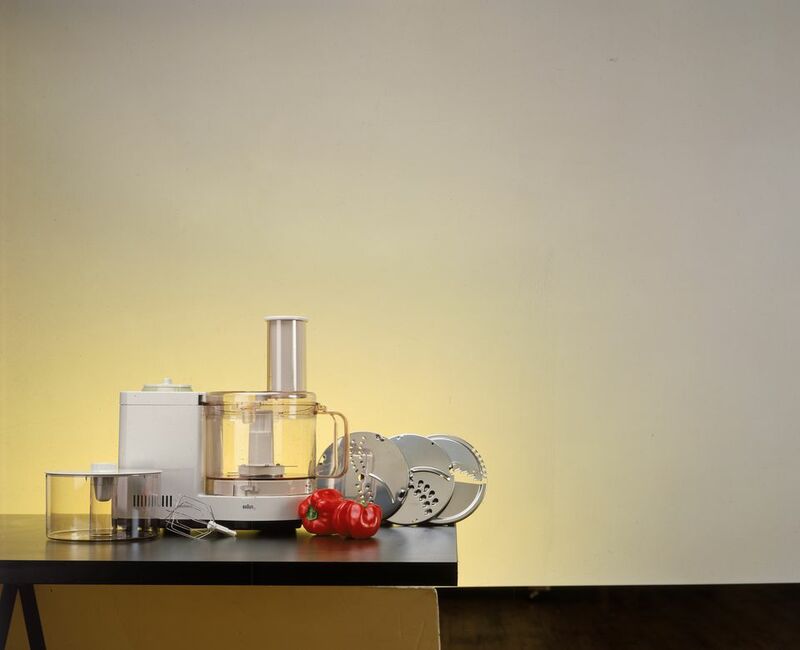 Though we commonly think of the term food processor as a counter appliance or kitchen tool that chops, slices, shreds, grates, or minces/grinds foods, the term actually can have a long-reaching application. It can easily incorporate several types of food processing equipment from juicers to manual choppers because they all work to process foods in one form or another. Though some may seem similar, not all food processors have the same function and these differences become very important when you are considering buying one. Blenders are best for blending and mixing ingredients. Some models have processing functions or attachments for chopping, but most blenders can only blend or mix soft foods or liquids. Depending on the blade, some models can crush ice for blended frozen drinks. Use these tips to help you decide which blender is best for you. This is the kind of chopper where you place the food in small portions either in the unit or on a cutting board and a hand slap on the top of the tool springs the blade assembly into action to chop. These work best for chopping and dicing and often don't hold a large volume of food. Some models have a rotary hand-turn operation. Inexpensive, easy to store and operate, these small choppers can be very convenient for quick, small chopping/dicing tasks. Mandolines are simple tools for slicing, shredding, or grating foods. These range from plastic varieties to quality stainless steel units that usually include different sizes of cutting blades. The process is usually done by moving the vegetables back and forth over the cutting blades. It's a quick, manual process. A mandoline is reasonably easy to store and use. These are mostly manual and come in various styles. Their main purpose is grating, whether cheese or other foods like vegetables. Most households have more than one shape or size. The most common are the box type where the grated cheese accumulates in the center of the grater, but the fun rotary style that is used in restaurants for hard cheeses such as parmesan has become a family dinner favorite. Electric food processors may have a disc that can be used for grating large quantities of cheese. Due to the shape of the cutter and design of the appliance, coffee grinders should be used only for grinding fresh coffee beans. They're small, economical, and practical appliances for grinding your own beans to improve the taste of your coffee. There are some coffee makers that are designed with a built-in coffee grinder. These come in electric and manual models. They are very useful kitchen tools; their function is mainly to grind with a variety of discs for fine to coarse grinding. If you are planning on using this tool a lot, look for a fully-functioning antique meat grinder or use a grinder attachment on a larger mixer. Once used merely for ricing potatoes, creative cooks have expanded on this decades-old kitchen tool, using it to push through other soft cooked vegetables or fresh noodles. These tools are also helpful if you love mashed potatoes or are planning on making large quantities of homemade baby food. Juicers process fruits and vegetables in a different way since they remove the juice from the pulp. This is something a food processor cannot do. Electric juicers are more popular than manual models since they require less effort, but are more expensive. Presto's SaladShooter™ made these types of small hand-held electric slicers very popular. They're time-savers and designed to be held while slicing vegetables directly into a salad or other dish. The operation is simple and they're easy to store and clean. Though they are called processors, the functions of these tools are limited. These are 1 to 4 cup appliances for chopping onions, nuts, spices, or for making small batches of dressings, salsa, vegetables, or condiments. They're very convenient for everyday chopping and mixing needs and for making baby food from left-overs. These small choppers typically do not have any slicing or shredding abilities because they lack a feeding tube and cutting discs. These are often reasonably priced when compared to larger tools. Typically called food processors, these can be found in various capacity sizes, from 5 to 12 cups. A 5 to 9 cup food processor will often have one disc (circular blade cutter) that enables at least some slicing, grating, and shredding. Prices of these units are influenced by power performance as well as the number of accessories. A large food processor with several discs, a dough hook, and a smaller work bowl will be priced in the higher range, but you'll be able to use it for several applications. How can you tell what function a particular food processor has? Look at the accessories and the design of the unit. A processor that only chops will not have a feeding tube design which is needed for adding foods to be sliced or shredded. Some food processors may have limited accessories, but optional ones may be available for purchase to increase the functionalities. Pressure Cookers, Instant Pots, and Slow Cookers: What, When, and Why?